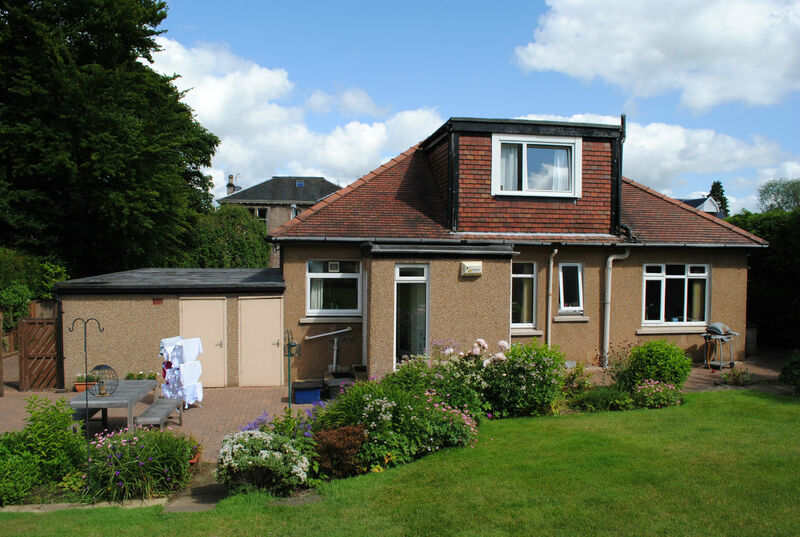 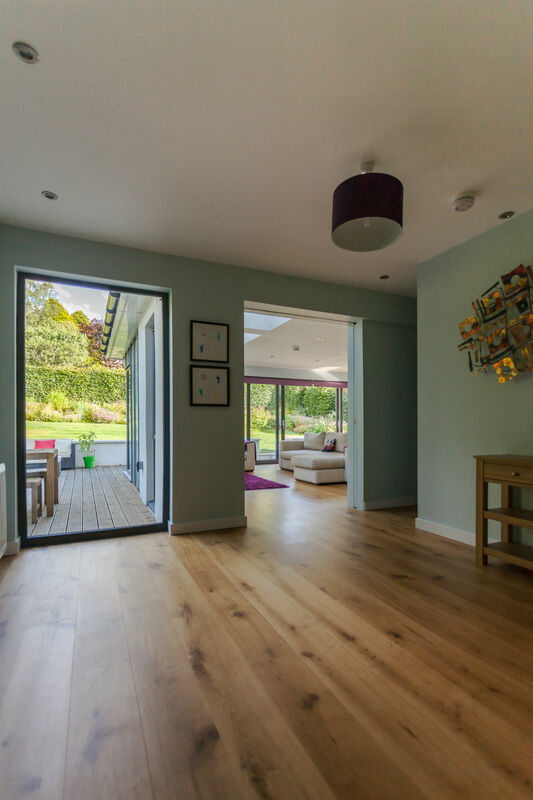 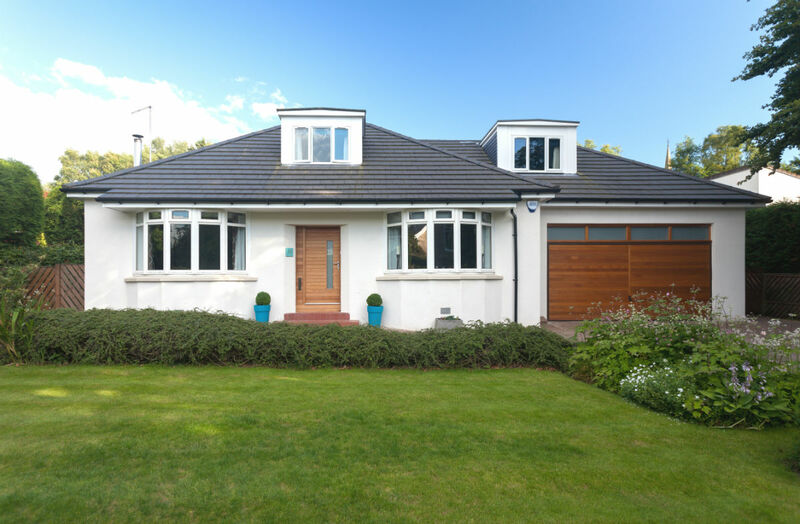 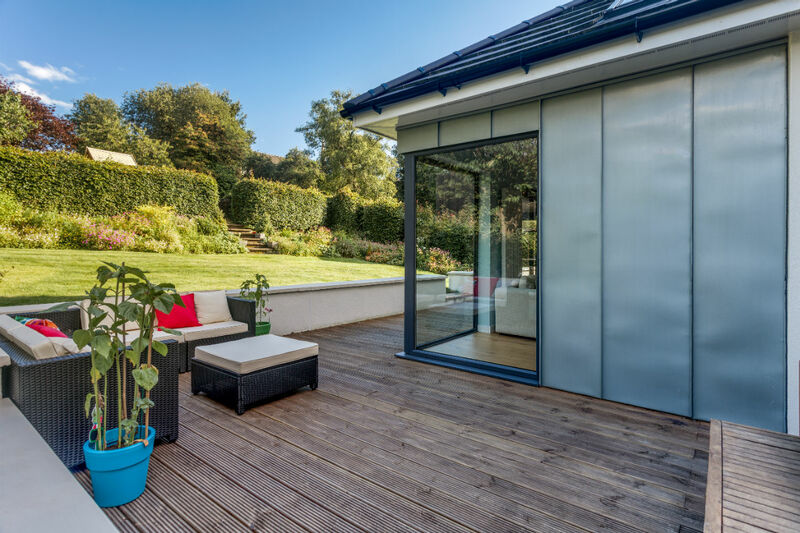 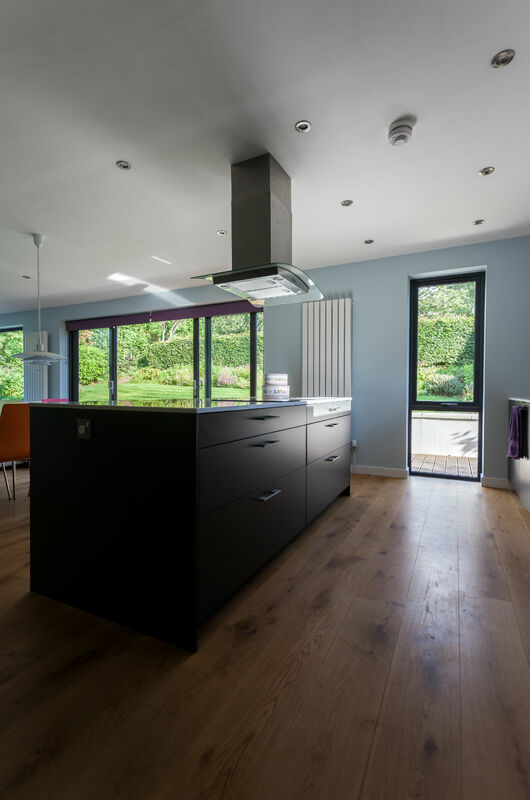 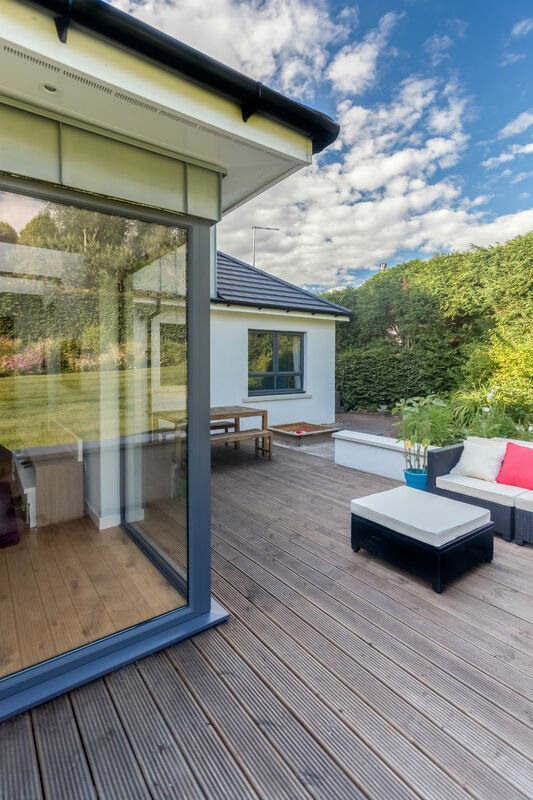 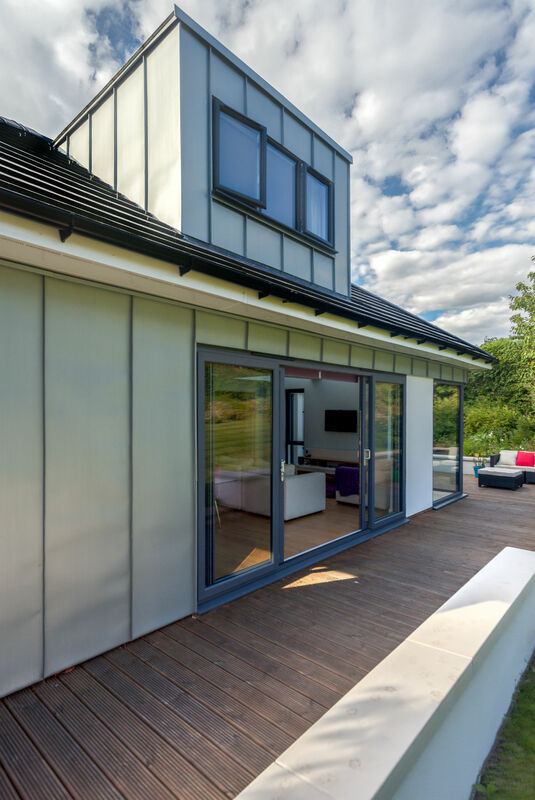 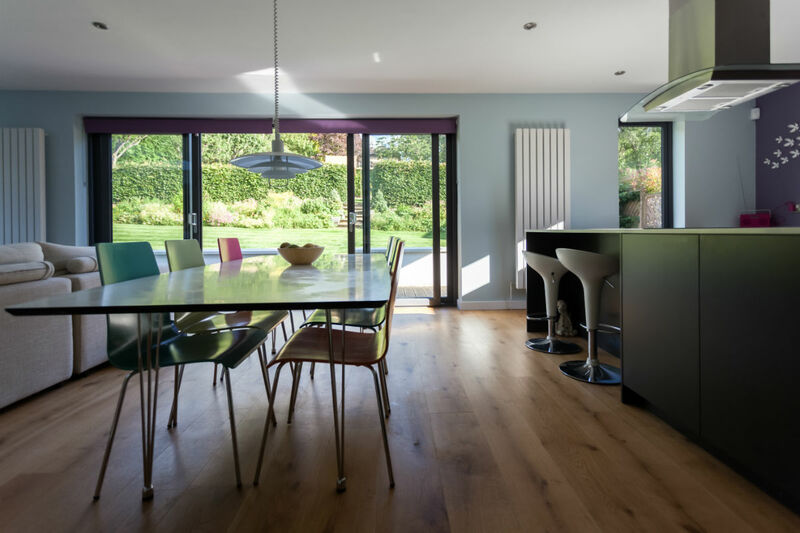 Coogan Architects were set the challenge to significantly increase the floor space of this property set within a highly desirable area of Lenzie, Glasgow. 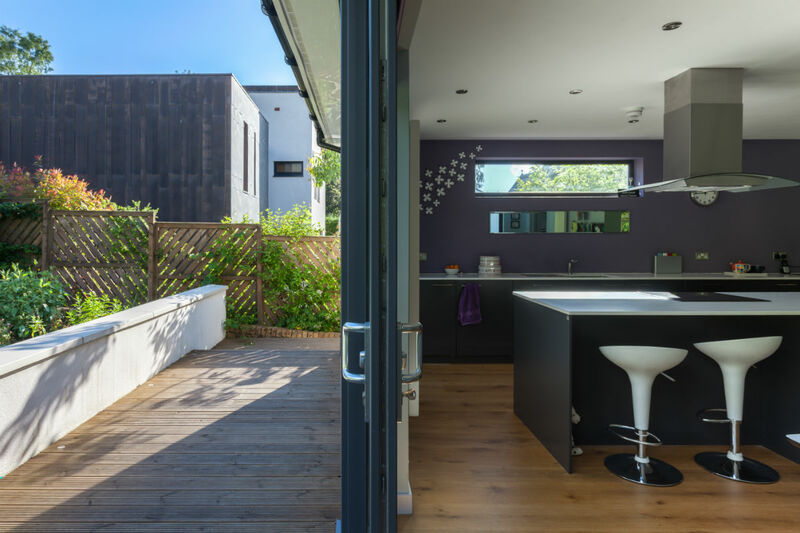 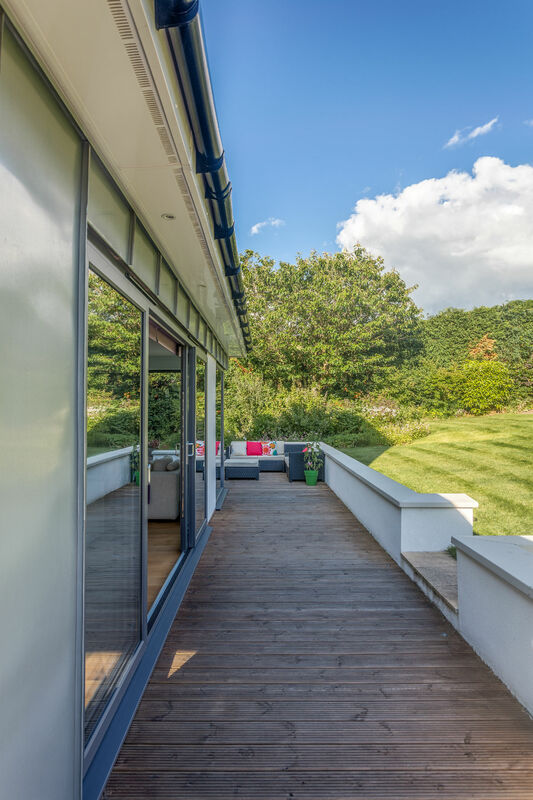 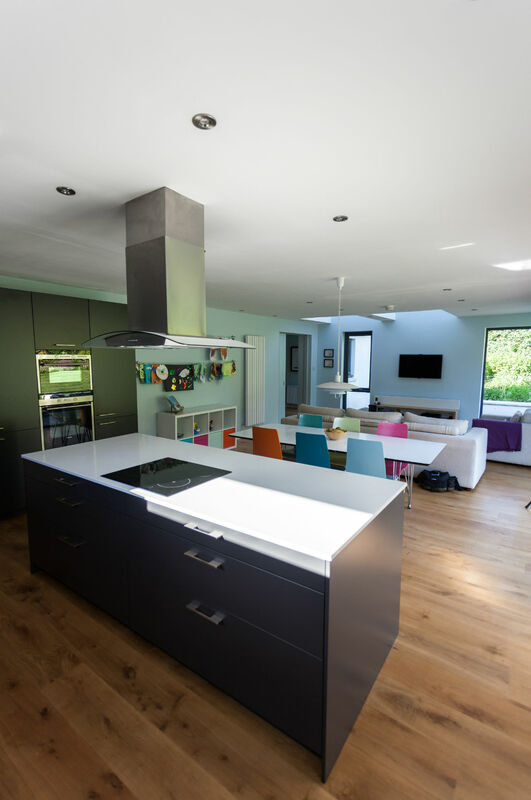 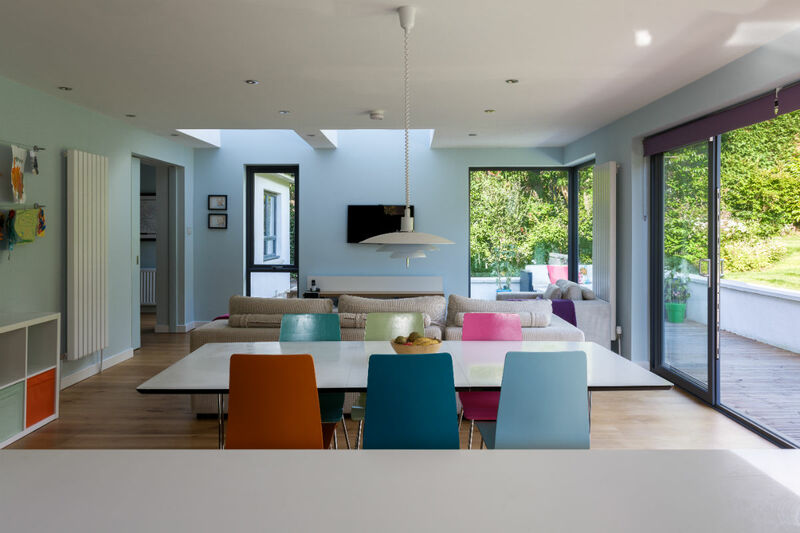 At ground floor level, a new double garage was added to the side of the existing house while a large, open-plan kitchen, dining and informal living space was created to the rear. 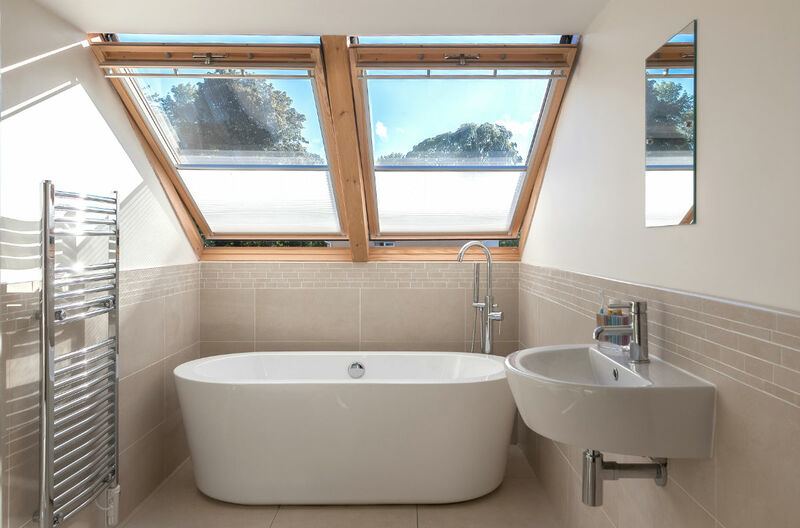 At first floor level, 2 new bedrooms were created (one as master bedroom with walk-in wardrobes and en-suite) as well as a new family bathroom and additional storage. 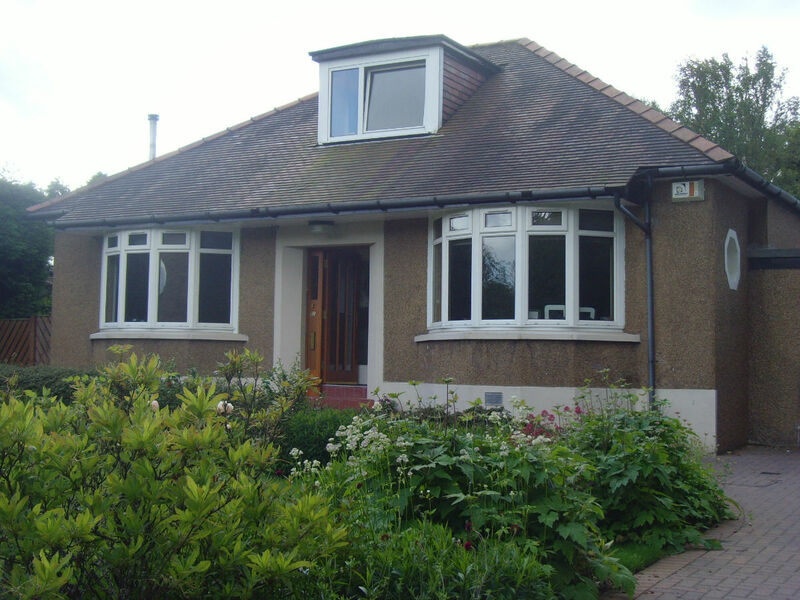 Externally, the existing house has been revitalised with re-rendering work, new roof tiles and re-cladding of an existing dormer in zinc. 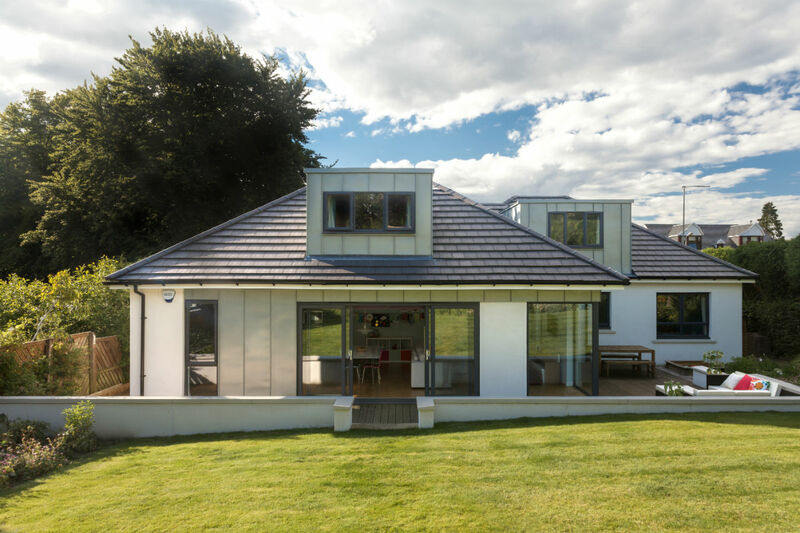 The house extension itself has an external palette of smooth white render and standing-seam zinc panels.